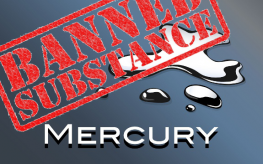 As we reported in January of 2013, a convention ten years in the making has resulted in a treaty that will ban the production and trade of many products containing mercury as well as processes where mercury is released into the environment. But critics say the Minamata Convention didn’t go far enough, and suspect that those in attendance may have helped sway the treaty in their favor. As the Alliance for Natural Health reports, 140 countries were present at the convention earlier this year and over 90 of those countries just recently signed the final treaty. Because of the timing and the bickering in Washington, the delegation from the US was recalled due to the government shut-down. But the US joined on November 6 to sign the treaty. According to the Environmental Protection Agency, the Minamata Convention was named for a city in Japan where mercury contamination from a chemical factory left the population sick, disabled, or dead after eating fish affected by the toxin. The treaty is a step in the right direction, without question. The convention recognizes that mercury is a neurotoxin with potentially deadly effects. It is linked to kidney damage, respiratory failure, disability, and death. Unfortunately, mercury is so pervasive that nearly all people have trace amounts of mercury in their bodies. While the convention offered progress, it did miss some crucial points. Namely, it focused some attention on the harmful mercury-based preservative known as thimerosal, but it failed to ban the ingredient when found in mascara and in vaccines. In mascara, the convention members said, there isn’t a “safe substitute alternatives” on the market despite there being several mercury-free mascaras sold to the public. It’s also troubling that the cosmetics industry doesn’t require companies to label ingredients that make up less than 1% of the contents. So while it appears as if most American mascaras don’t contain thimerosal, we just don’t know. Further, thimerosal is found in vaccines used on newborns and infants, where they say it’s needed as a preservative for multi-dose injections. The argument against vaccinations in general is a complex one, but as Dr. Russell Blaylock points out, these multi-dose vaccines can overstimulate the young brain’s immune system, potentially destroying brain cells. When you look at who was in attendance at the convention, these oversights become a little more understandable. Representatives from biotech giant DuPont were there – a company that’s been fined in the past for contaminating water with mercury. Also, the United States Council for International Business, whose members include Monsanto and 3M, was present. Again, we are left with the notion that our safety may matter a little bit to global leaders, but not enough to jeopardize these corporations who profit from our illness.